Overview: WAIL 2019 focuses on the phenomenon of Palestinian Refugees alongside its core program dedicated to Syrian Refugees in Turkey. Palestine has always been a critical issue for both the international community and the Turkish society. As WAIL is a combination of national and international law related to refugees, this year’s focus will be Palestine. 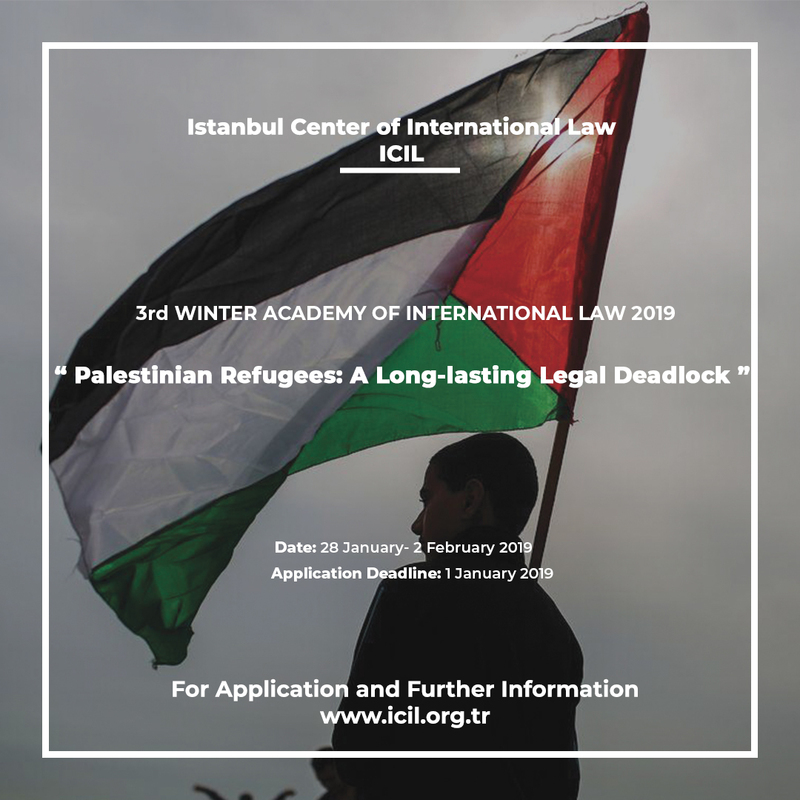 Target Audience: ICIL Students, Turkish and foreign law students particularly advanced bachelor and graduate students as well as practitioners. Application Deadline: 1 January 2019 (Applications will be evaluated on rolling-basis. Therefore, we highly advise you to make an early application to secure your place at the Winter Academy).